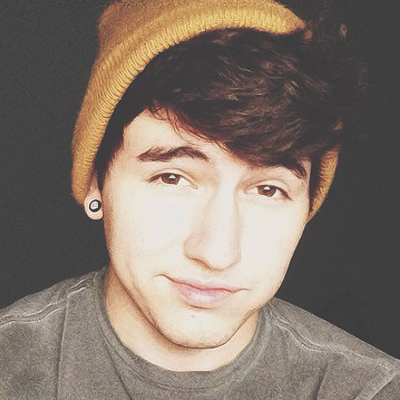 Jc Caylen was born on September 11, 1992. He is known for his two YouTube Channels, his main one with random, hilarious videos and his vlog channel for events and thoughts. In addition, the Our2ndLife (O2L) collaborative channel is very popular. There are six guys in that group – Jc, Kian Lawley, Connor Franta, Ricky Dillon, Sam Pottorff, and Trevor Moran. They have a lot of fun doing challenges. Some sources say he was born in Houston, Texas but raised in San Antonio. Other sources say he was born in San Antonio. He was born as Justin Caylen Castillo, but later legally changed his name to Justin Cloud Caylen and goes by Jc, which is a nickname he’s had since middle school. He has a tattoo of a palm tree on his arm to symbolize the first show in Honolulu, Hawaii of the O2L Tour. He also has a cloud tattoo on his wrist to symbolize positivity, as well as a number of other meaningful tattoos. He lives in Los Angeles, California with three of his closest friends. His favorite colors are black and teal. His favorite food is hot wings. Jc has a brother named Joe Felix and two sisters, Ava and Jaylyn Grace. His parents divorced when he was five years old. His dog, Wishbone, rounds out his family. Jc previously dated Lia Marie Johnson, another YouTube personality. Probably his closest friends are his O2L group.